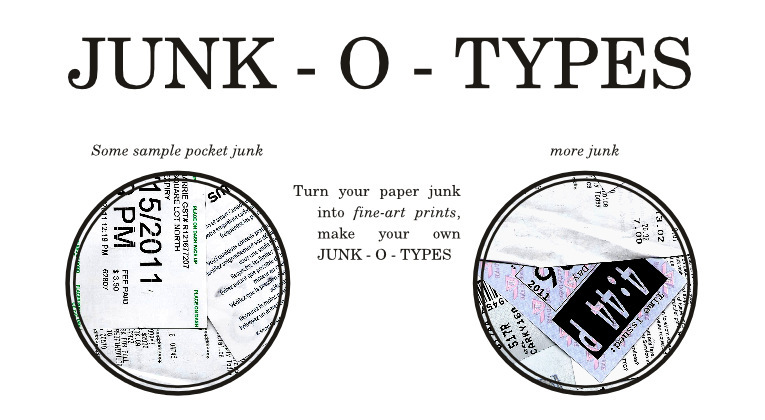 YOU can make a JUNK – O – TYPE out of any scrap paper that is needlessly resting in your pocket. Elevate your paper pocket junk to fine-art status by creating your very own limited edition print. Excess paper junk can accumulate on your person for months, resulting in a bulging wallet, or a purse that looks like the inside of an exploded public library. Max Lupo and Jenn Guerin can help alleviate all of your paper related ills with their community outreach performance, “Make Your Own Junk – O- Types with Max and Jenn”. Through this performance, the spectator is transformed into an artist, by emptying their pockets of junk paper. With the power of printmaking, YOU will transform your unnecessary collection of receipts, parking tickets, and to-do lists, into a unique fine-art print. 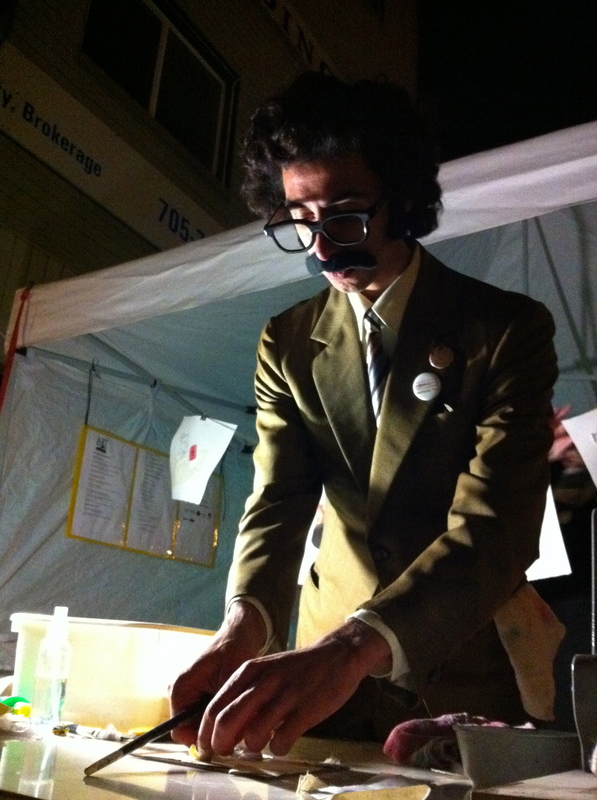 This performance took place on October 1st at Barrie’s inaugural all-night Art Event, Art Ce Soir. 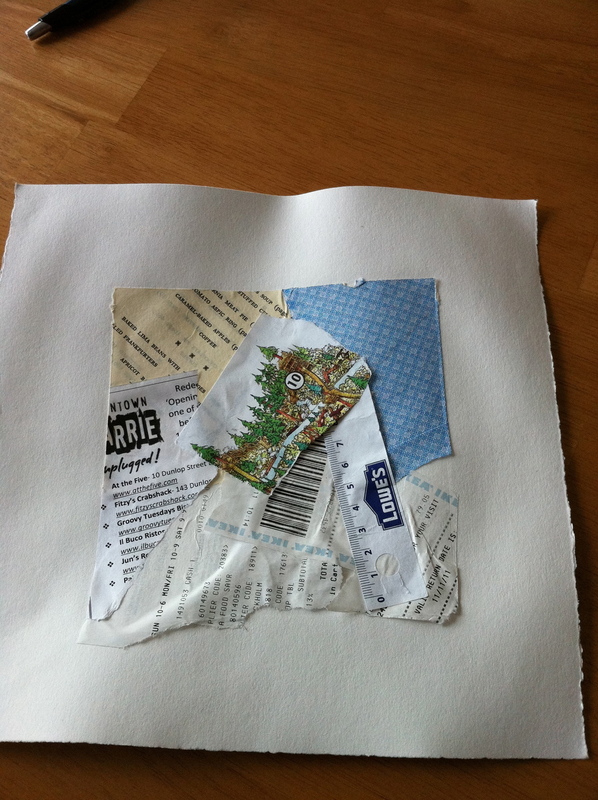 Participants were asked to empty their pockets of excess junk, to be used in making a monotype. Jenn and I helped to arrange the receipts/trash paper on the printing surface, and then the participant operated the baby press to produce their unique print. were derived from Harpo Marx's beautiful letterhead.